Heat oven to 350°F. Grease a 8 x 8 baking pan. 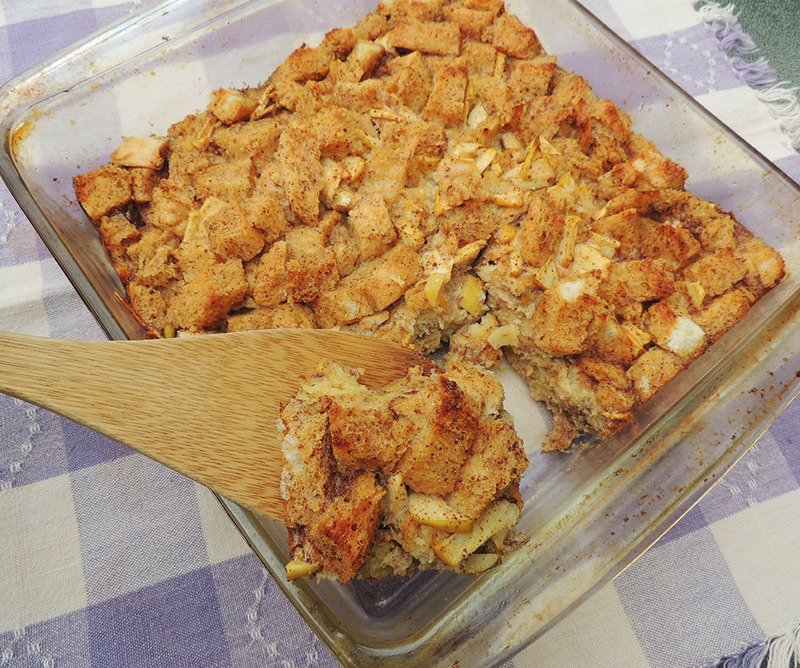 Toss bread cubes and apples together in the pan. Whisk together the eggs, milk, vanilla, cinnamon and sugar. Slowly and evenly pour egg mixture over bread cubes and bake for 40 minutes.